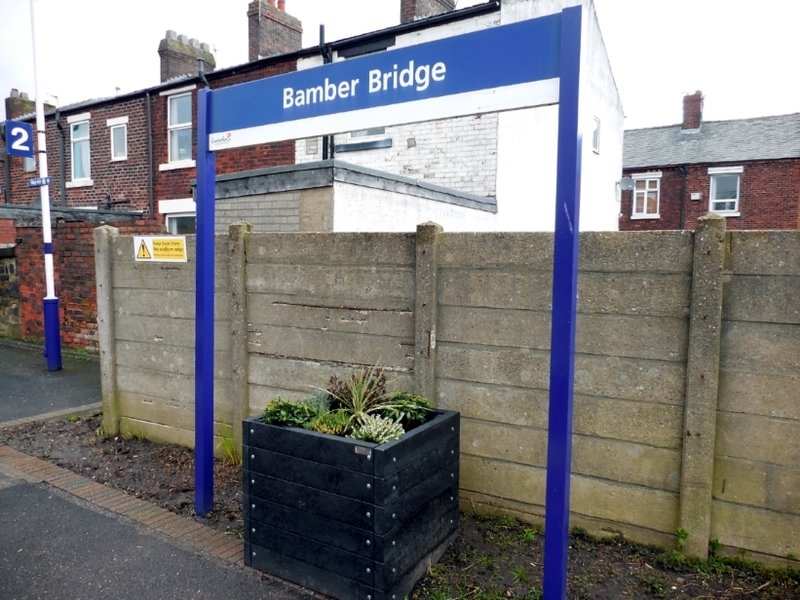 The Friends of Bamber Bridge Station is a partnership between the South Ribble Pensioners Association, South Ribble Borough Council and BAXI a local heating boiler manufacturer who are celebrating their 150th year based in Bamber Bridge. 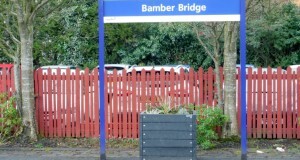 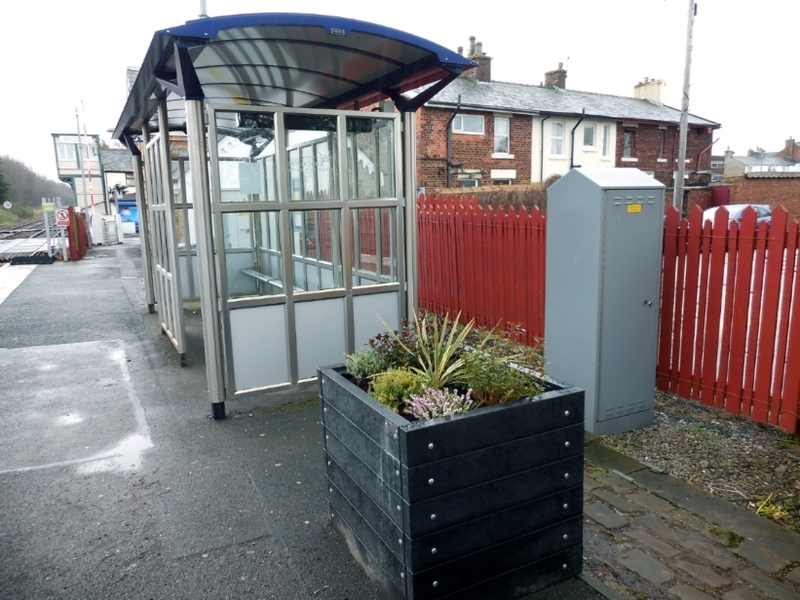 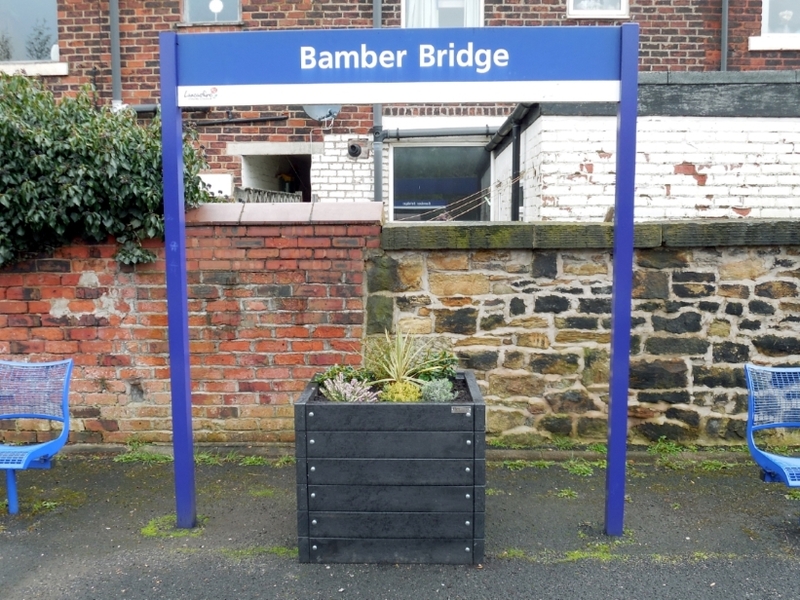 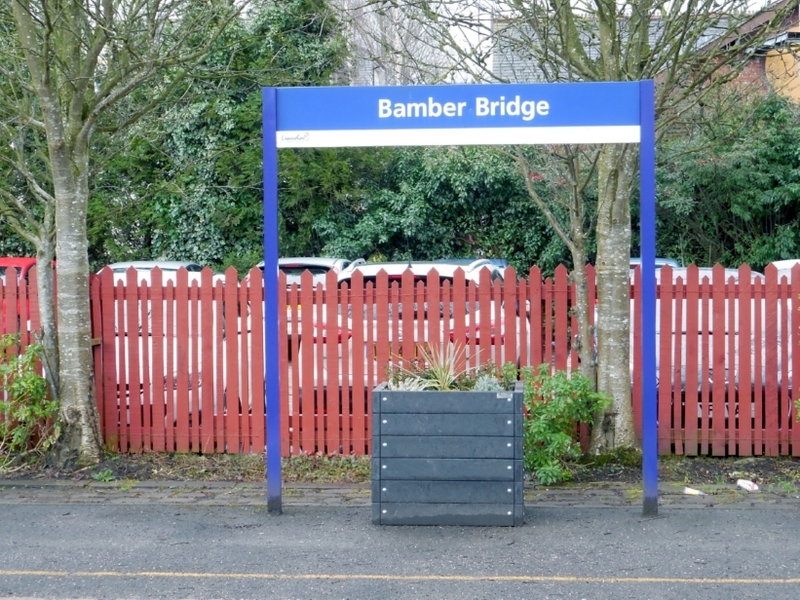 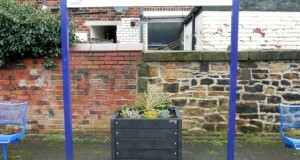 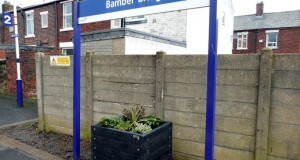 The group are looking after some recently installed recycled plastic planters (see http://www.communityraillancashire.co.uk/news/bamber-bridge-botanists-bloom/ for more details) and generally keeping the station tidy. 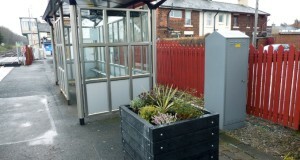 Late in 2017 some artwork created by Cuerden Church School was installed on the station.